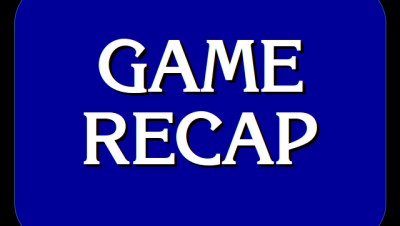 Correct response: What is Colorado? Colorado’s nickname, “The Centennial State”, is due to its entering the United States in 1876, the year of America’s centennial. Erratum: On PRO BASEBALL TEAMS $200, while the Tampa Bay (Devil) Rays franchise was awarded in 1995, their minor league teams began play in 1996, and their major league team began play in 1998. 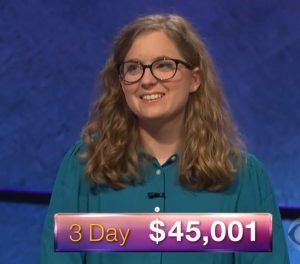 7 Comments on "Today’s Final Jeopardy – March 30, 2018"
That seemed like a tough Final Jeopardy. Well done by Emily! I didn’t think of the correct reponse. 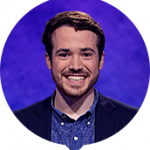 But then again, I haven’t studied as much as a typical contestant, especially in prime Jeopardy knowledge areas such as US States, and their distinctive histories. Watching the show really goes give us a good sense of the types of clues that the judges seem to favor. As a proud Coloradan, that was easy! They probably would have deported us had we missed it. To whatever state we named instead. That means I’m off to Washington. Here I come, Seattle! I liked the question. It actually required making a few connections, starting with knowing the dates of Grant’s term (the key to remembering U.S. history is memorizing the presidents and their terms). Then, if you realize that it encompassed the centennial, and that there’s a “Centennial State,” all you have to do is remember that’s the nickname of Colorado. At least, that’s how I figured it out. Or just make a blind stinking lucky guess like Emily. Whatever works.